Looking for a way to get your store name and logo or private label onto high quality certified organic body care and cleaning products without having to order thousands of pieces at a time? 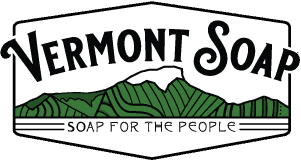 Vermont Soap’s 500* Piece Private Label Program may be just the thing for you! We will put YOUR label on any Vermont Soap product (our bottle and contents, no changes) with minimum of only a 500 pieces per sku! Prices mirror our wholesale pricing schedule plus your label (labels cost about .25 or so in rolls of 1000). Your labels on our great products at wholesale cost! Click here to see the format that fits our labeling machines.